Ardbeg Ten... well, that hardly needs any kind of introduction, of course. It is a standard whisky, but of such good reputation that it belongs in each and every whisky cabinet. I have tried several batches and they are all - in my opinion - very close. So hat's off to the master blender, in casu Dr Bill Lumsden. Today I will try a Ten that was bottled on 17th November 2015. 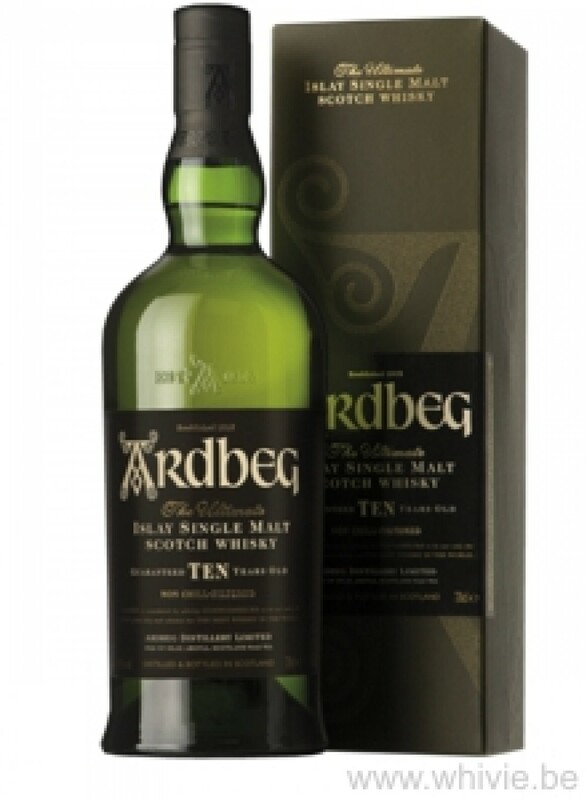 Classic Ardbeg nose with some lime, apples and vanilla that are soon joined by the typical maritime elements such as brine, peat smoke and something that reminds me of gasoline. Some burnt wood and even some smoked ham in the background make this nose a joy for the lovers of this type of Ileach. The peat rears its head from the very first sip. And while this Ardbeg remains sweet and creamy it's that salty edge and those notes of peat that give this it's complexity. Lots of mineral elements as well. It's like having gravel in your mouth, so to speak. I quite like this. That mineral side is extra powerful in the long and warm finish. 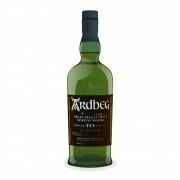 Yes, Ardbeg Ten remains a top dram. Bull's eye every time. Thanks for the sample, Pat! Ardbeg 10 Year Old It's Ardbeg, Jim but . . .
Ardbeg 10 Year Old Ardbeg 10 . . . Ahhhhhh!